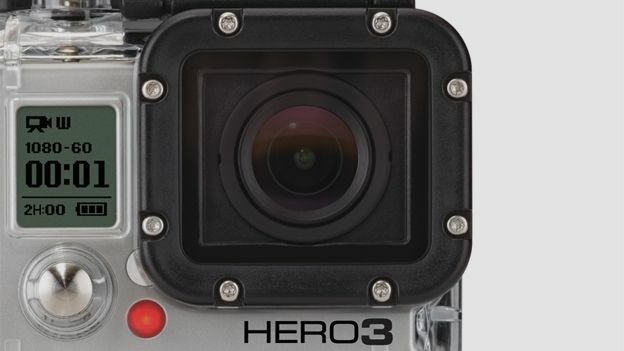 The GoPro Hero 4 will be capable of recording video in 4K out of the box, according to reports. According to a set of leaked specs, will be capable of recording video at 4K resolutions, 1080p at 120FPS and 720 at 240FPS. It will also come with multi-exposure HDR and WDR for tone mapping, electronic image stabilisation, improved MCTF with advanced sharpening, remove viewfinder playback and the ability to upload pictures and video directly to social media. The leaked specs were published by F-Stoppers. GoPro's Hero range have become extremely popular with extreme sports enthusiasts as a way of capturing high quality video at a fraction of the price it would normally cost. Little is known about the camera's release date, though some reports have suggested it may hit shelves next summer.